They Make the Magic Happen. We absolutely adore working with these incredible vendors! Each one of them is passionate in what they do, and you can tell with the amount of heart and detail they put into helping you, so you can do less on your special day. Whether it is a wedding you're planning, a corporate function, or the social event of the century, these are our absolute favourite professionals we prefer to work with. Take our word, and check out the gallery below. If you could bottle sunshine and pour it into a vase, you would understand the ray of sunshine that is Sunny. Sunny is the creative energetic mastermind behind the stunning floral designs that elevate your vision into the most incredible, eye catching florals, cascading from arches and overflowing bouquets, bringing the most happiness and joy we’ve ever seen. Always Sunny’s curated design and exclusive florals are all about personalizing your wedding making it lovely and memorable. They only accept a limited number of bespoke weddings each season - both locally in the Calgary-area and destination, so you’d be wise to book them soon! Fully serviced weddings include personal consultations with Sunny, delivery, and set-up. Char-weddings get a special add-on if you book with Local DJ. When you book your wedding at charbar, Local DJ will provide a FREE digital sound-system for Rooftop ceremonies, plus offer you a $100 off from the cost of their Photo Booth with FREE custom logo design and digital copies for your guests to cherish. Ask one of our Event Specialists to connect you with this special offer. Whether you are looking for inspiration or wanting to design your dream wedding dress you’ll find it conveniently located in the East Village. When you open the doors to this boutique shopping experience, the Powder gals will introduce you to a dreamland of exquisite custom designed wedding gowns. Their expert attendants will find you your one-of-a-kind gown, so you can say “Yes to the dress!” with pure bliss and elation. char-brides will receive a private fitting and one-on-one consultation AND 10% off! With Powder Bridal Design you are in excellent hands. Start by taking a peek at Powder’s Instagram for some wedding inspiration. And dolls they are! These 2 talented ladies have an eye for every detail when it comes to creating table-scapes and ambiance showcasing your love, in your own unique way. This full service team will help you with all the details from invitations to placecards to floral arrangements to props. For brides + grooms that choose Paper Doll as their planner, Paper Doll will happily provide use of their budget planning template. This template is a huge time saver, providing peace of mind when it comes to capturing wedding related expenditures. This template is an estimated value of $376. We are always mesmerized by the movement in Foxglove florals. Caitlyn and her creative team dream to bring to life the wild, natural and whimsical in each bouquet. They have perfected the balance of simple beauty and elegance in each bouquet while allowing each flower to shine in its own uniqueness. Check out Foxglove's Instagram account for a full flourish of fanciful florals. 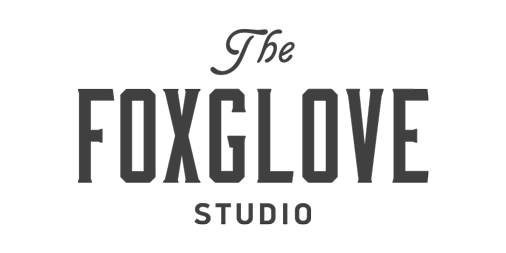 We are happy to extend a special offer for Simmons couples – Foxglove Studio offers FREE delivery or FREE rentals of vases and vessels. Our Lavish Guests creates beautifully lit, professionally retouched black and white portraits at weddings, galas and events. Unlike a traditional photo booth, our experienced photographers work to capture elegant portraits showcasing your guests' unique personalities in the most beautiful way. Coupled with a crisp black and white edit and on-site digital retouching, Our Lavish Guest’s create the perfect portrait of your loved ones - every time. Your guests will depart from your wedding with a beautifully finished art print ready to be proudly displayed in their home, and the complete album will be available for you to digital download within 48 hours. Char-couples when booking OLG, will receive a Free 8x10 print for framing! Don’t believe us? Check out their eye-popping website here! Janie is as pure and sweet as her floral designs. We adore working with Janie and her floral team so much and so do our brides! Janie's arrangements are full of bounty and bloom, with an elegance that transcends time. See Janie's full floral gallery here. If you choose to have your florals designed by Janie, you will receive 2 hours of complimentary video coverage of your wedding with Castaño Media valued at $1500. This offer is a fantastic char-combo! Seasoned pros, Special Event Rentals will assist you in finding all the items you need to ensure your wedding goes exactly as you planned. Whether you are looking to create a small rustic ceremony, or a glamorous wedding, in need of outdoor tent, or extra tables and chairs, the Special Events team will be your goto service. Our wedding couples will receive a 10% discount if referred through our charbar Events team. Capture those spontaneous moments, the laughter in the celebration, the details you cherish, and the subtle glances of adoration as the day unfolds with your loved ones by your side. Oscar has 6 years of wedding video experience, so he knows how to capture the timeless moments that will make you cherish your special day for years to come. Castaño will offer a $1500 2 hour package to you when you book your florals through Flowers by Janie! A wedding power-duo team! Our stylish, contemporary, boutique hotel partner is conveniently located across the street from charbar in the heart of the East Village. You can’t beat that! The ALT boasts some of the lowest rates in Calgary and offers group booking discounts, as well as no check-out times for you and your guests. Juan and Angie come as a pair and what a pair they are! Together, they make sure not to miss the moments that count. We love their candid approach to capturing the most sincere memories to add to your wedding album. They aren’t just photographers ready to capture your wedding photos, they will want to get to know you, to fully understand your vision, so they can tell your story. 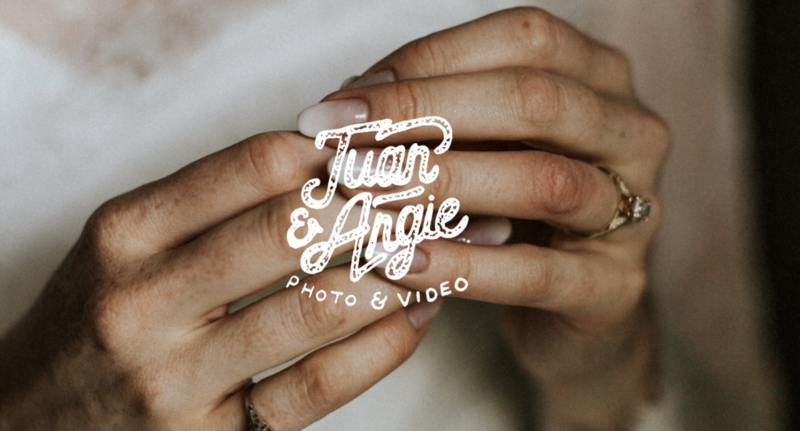 When you look back on your wedding day or elopement, choosing Juan & Angie will be counted among your many happy memories. For couples that book through charbar, Juan & Angie will offer an additional 10% off their wedding packages. Sidewalk Citizen Bakery, located in the Simmons building, is a perfect solution for your dessert table, or a rustic-style wedding cake. We work closely with the bakery to ensure that your special day is complete with special sweet treats. Ask about the dessert packages available.